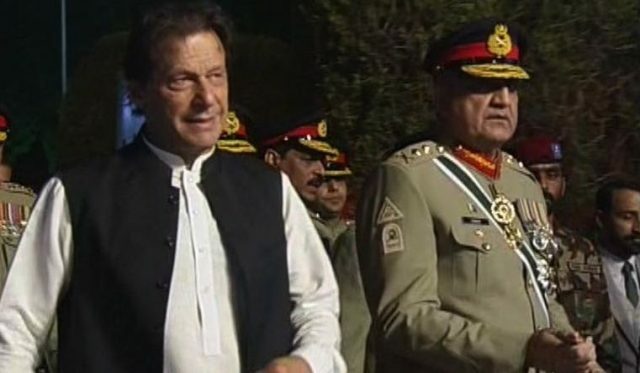 Prime Minister Imran Khan on Thursday said that there is no rift between civilian and military leadership. He was addressing the main ceremony of Defense and Martyrs Day at GHQ in Rawalpindi. Pakistan Army is the only institution in the country where there is no political interference and things are run on merit, he said. “We will promote a merit-based system and strengthen democracy,” he added. Imran Khan said terrorist attacks went up in Pakistan after it joined the war on terrorism. Earlier, Chief of Army Staff, General Qamar Javed Bajwa, addressed the event and vowed to take the war against terrorism to its logical end, and called for stability in Pakistan’s democratic process. The army chief paid tribute to the martyrs of 1965 war. “Every Pakistani became a soldier to safeguard the country in 1965 war,” he said. 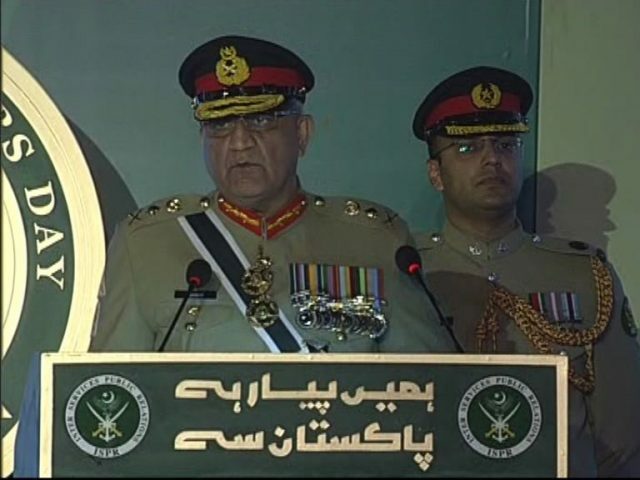 The army chief recalled Pakistan’s sacrifices in the war against terrorism. 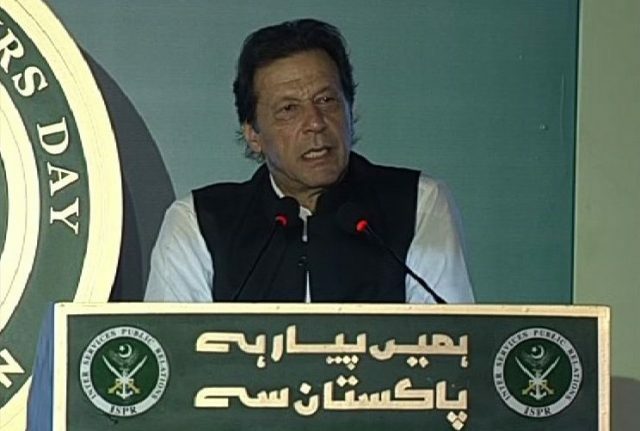 “In our war against terrorism, we have fought an unprecedented war with more than 70,000 martyred and injured,” he said. “Since 2014, we have been celebrating the Defence Day as the day of martyrs. We will not let their blood go in vain,” he vowed. He stressed on the strengthening of institutions. The army chief also paid tribute to the people of Kashmir for their sacrifices and struggle against Indian occupation. The ceremony was attended by chairman joint chiefs of staff committee, navy and air force chief, federal ministers, parliamentarians foreign ambassadors and people from various walks of life. Relatives of martyrs are also present in the event. Actors Humayun Saeed, Maya Ali and Hareem Farooq hosted the event.